Christmas carols, silver bells, reindeer… it’s that time of year again! Oh, wait, no it’s not. But as Disney’s summer deals come to a close and discounts are released for the fall and winter, it is time to start thinking about spending your holidays at the happiest place on Earth. 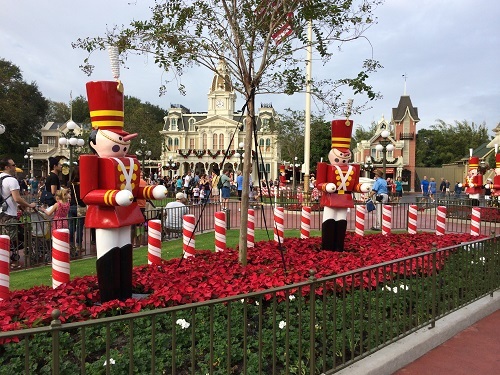 Disney is bursting with magic any day of the week, but around Christmastime, the park really shines. To start with, everything is completely decorated and decked out in holiday cheer. Buildings in the parks are strung with wreaths and lights, and hotels even offer unique yuletide displays. Several attractions throughout the park also take on a holiday theme during this time of year, including the very appropriate “Jingle Cruise,” where the skipper’s typical puns are adapted for the yuletide crowd. These holiday variations on classic attractions are definitely fun, but it’s the additional Christmas events that make visiting between late November and early January worthwhile. 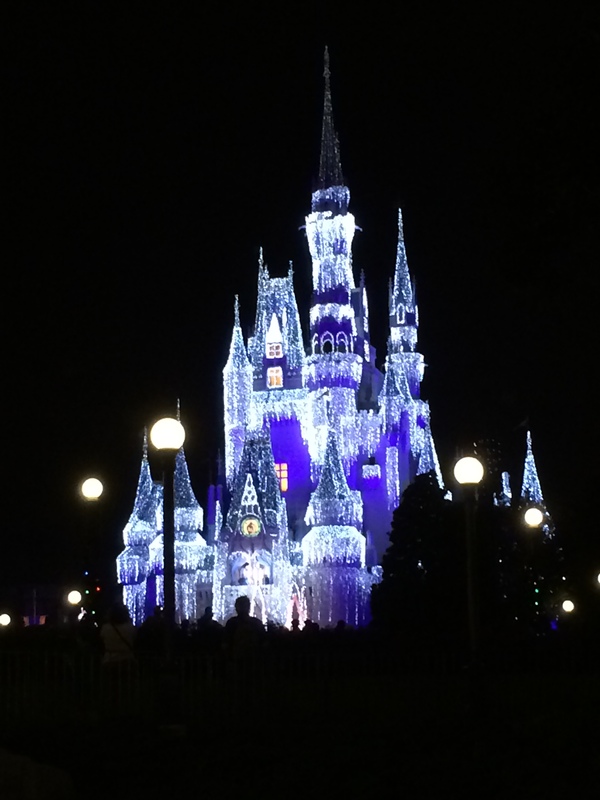 One of the more little-known holiday events is the nightly lighting of Cinderella’s Castle. Around dusk, the voice of Cinderella’s godmother can be heard throughout Magic Kingdom as she transforms the castle into a vision of shimmering Christmas lights. It’s a fun little show to catch if you’re around, and you’ll get some really great pictures of one of Disney’s most famous landmarks. You’ll also want to check out some of Epcot’s special offerings, including the Candlelight Processional and Holidays Around the World. The former features a special celebrity guest each night, so that might be something to consider when booking. I just missed the time window for those two events, but I was able to see the Osborne Family Spectacle of Dancing Lights, and it’s without a doubt one of the coolest things that Disney has to offer. The Streets of America in Hollywood Studios are decorated with more lights than you can possibly imagine, and they all move and flash to popular Christmas songs. 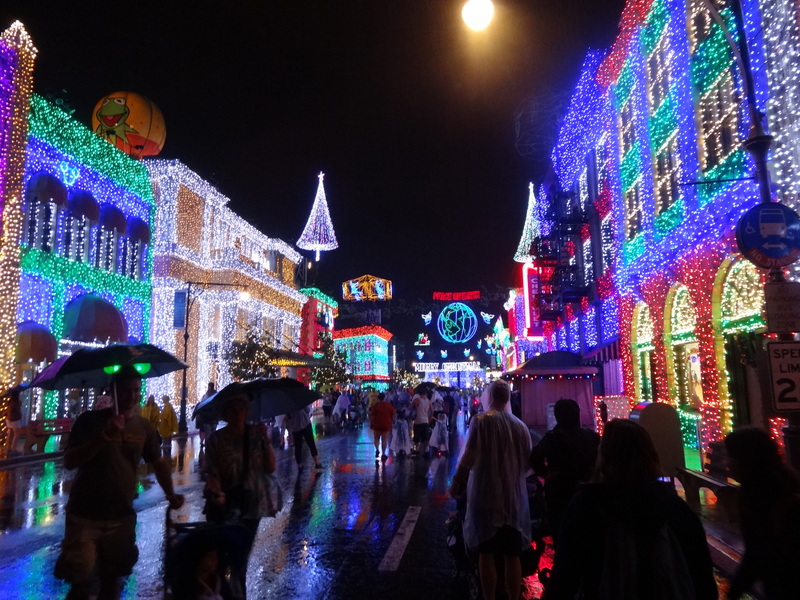 My family actually went one night when it was raining (pictured above) and so crowds were minimal and the puddles on the streets reflected all the lights. We almost skipped it because of the weather, but I’m so glad we didn’t—it was nothing short of magical, and I 100% recommend it. On select nights during November and December, you can purchase an extra pass to attend this special event held in Magic Kingdom. 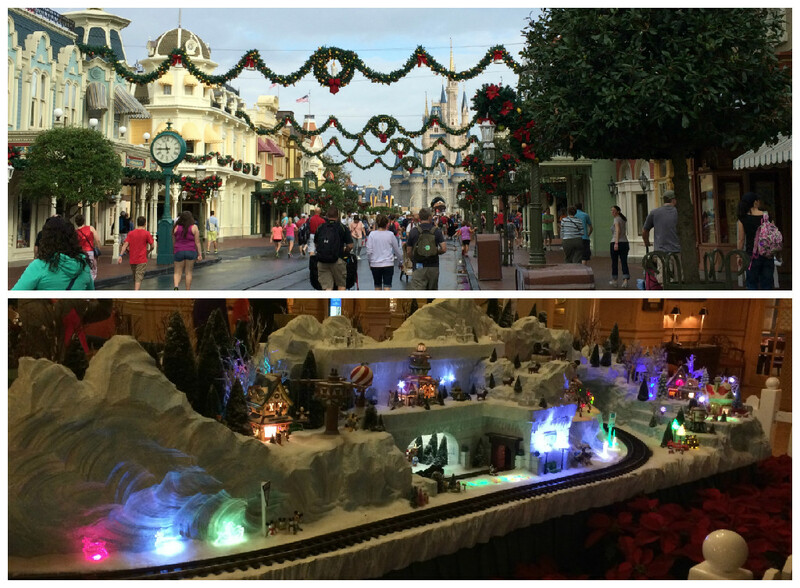 If you’re in Disney for the season, there is simply no better way to celebrate the holidays! Guests will enjoy a magical lighting of Cinderella Castle, Mickey’s Once Upon a Christmastime Parade featuring Santa, a delightful holiday version of Wishes, and even a snowfall on Main Street! After Thanksgiving, this unique and enlightening event takes place at World Showcase to highlight how each culture celebrates the season. Travel across the pavilions to learn about customs, traditions, and special stories that each country has to share. Also be sure to check out the Candlelight Processional, a beautiful retelling of the story of Christmas told by a celebrity narrator (Neil Patrick Harris, Whoopi Goldberg, and Geena Davis are some popular attendees!). Finish your night with a holiday presentation of IllumiNations at Showcase Lagoon. This dazzling display of multicolored lights is strung around the Streets of America in Hollywood Studios. On select nights, the buildings alight with patterns synchronized to familiar Christmas songs, completely surrounding you with holiday spirit as you stroll down the street. I was recently in Disney for the 2013 holiday celebration, and I can say that this really is one of the most magical ways to get into the Christmas spirit. My family scheduled our trip the week before Thanksgiving, which meant relatively low crowds, but an indeterminate amount of holiday festivities available. As it turned out, the only thing not yet running was Holidays Around the World — both the Christmas Party and Dancing Lights show were in their regular rotation, and the parks and hotels were decorated for the season. If you don’t mind this small caveat, I would recommend planning your trip before the Christmas crowds descend. Though I can’t attest to the Christmas Party as we didn’t attend, I can say that the Dancing Lights show is spectacular. It’s unlike anything you’ve ever seen before, and is such a beautifully immersive experience.